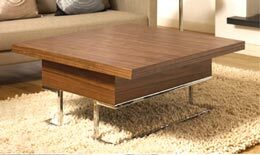 Check out this beautiful coffee table available from Michael Arra on Etsy. Considering it’s hand crafted and very unique, I think the price is very reasonable. Thanks to Ashley Vercoe for the heads up on it. 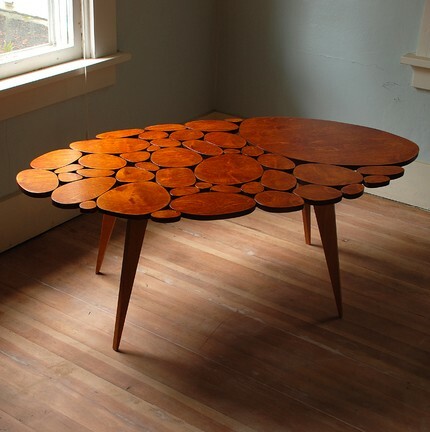 This table came up on The Apartment Therapy New York blog. Quite beautiful and, I think, very functional for anyone who uses their living room as a dining room as well. I’d love to see it in action.